The Hawx Prime 90 is one of the best boots for it's price. 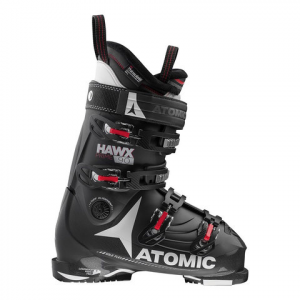 This boot is great for the beginner to that lightweight intermediate skier and features the best selling, famous fit of the Hawx line. Still getting the Memory Fit Liner that the Prime 120 has, with a really snug heel pocket that will make you forget you're in a ski boot, this very comfy, all mountain boot is a ski boot that anyone could have a fun day with.